Please Note: This information is for general use of the venue only. For information specific to major events and concerts, please visit the event listing on our What's On page. There are limited public car parks available for most events, including PWD and accessibility spaces. Please allow plenty of time to access car parking on site. Once capacity has been reached, you may be directed off site. To see the location of our car parks, visit the QSAC Stadium Map. During major events at QSAC, a 15 minute parking restriction applies in the local Robertson/MacGregor Traffic Area and no parking is available at the venue. 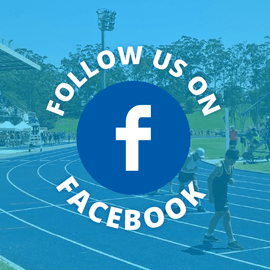 Patrons who have purchased accessible seating tickets for major events at QSAC will need to contact the venue on (07) 3405 7511 if they wish to book a car space. Limited accessibility parking is available during major events. The closest bus stops to QSAC are Mains Road Park and Ride and Kessels Road stop 57. There are also a number of other bus stops in QSAC area. Plan your journey using the Translink Journey Planner. During major events at QSAC, a 15 minute parking restriction applies in the local Robertson/MacGregor Traffic Area and no parking is available at the venue. 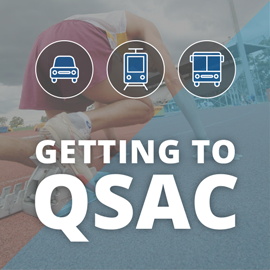 Public transport is the quickest and easiest method of getting to QSAC for major events. Plan your journey using the Translink Journey Planner. 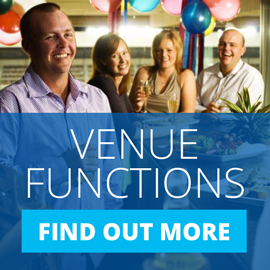 Patrons who have purchased accessible seating tickets for major events at QSAC will need to contact the venue on (07) 3405 7511 if they wish to book a car space. Limited accessibility parking is available during major events.